Techland Publishing have unleashed a new gameplay trailer demonstrating the fine art of killing in God’s Trigger, a brutal, fast-paced, top-down shooter, in which players can use supernatural powers to cause spectacular mayhem in a quest to stop the Apocalypse. God’s Trigger allows players to go on the rampage as Harry, a fallen angel, or Judy, a demon. Each of these two characters has 7 unique abilities that players can upgrade, customize and combine with others to create their own visceral style of dishing out death. 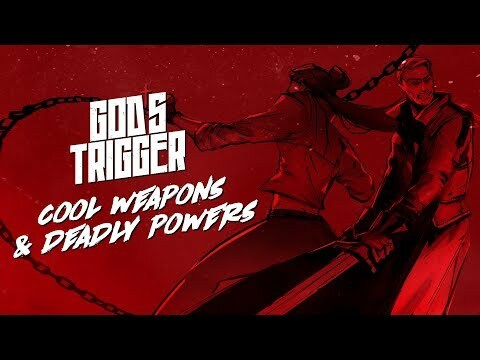 God’s Trigger is set to launch digitally on 18th April 2019 for Windows, PS4 and Xbox One. May very well be an assassin with a wrist blade and everything.